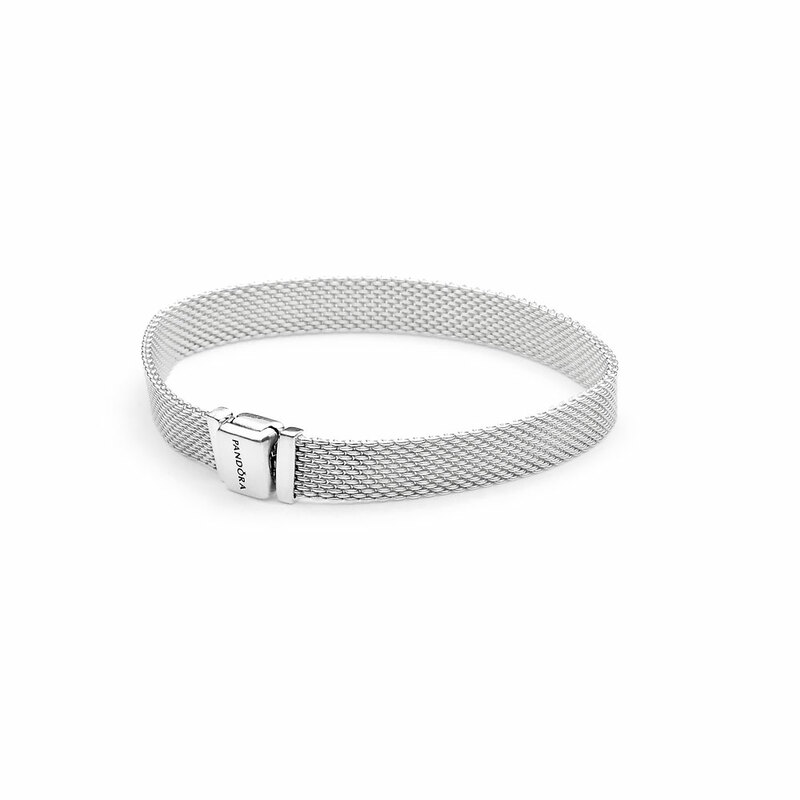 Express how you feel with this sterling silver PANDORA Reflexions bracelet. Its woven mesh design ensures clean lines and fine textures, making it the perfect everyday style staple. Add your edit of PANDORA Reflexions charms for a unique look. Available online and in concept stores. PANDORA Reflexions Bracelet is rated 3.2 out of 5 by 86. Rated 2 out of 5 by INDRA from Charm Fell off I love the bracelet when I first saw it. I got it two weeks ago and one of the charms fell off the second day I wore it and I can't find it. Rated 1 out of 5 by Tara1001 from I absolutely love it! but... I bought the bracelet almost immediately when it came out and was even considering buying another until within the last three days two of my charms have fallen off.I have no idea how this may have happened and I'm now afraid to wear it out of fear that I may lose more charms or even the entire bracelet. I love Pandora jewelry have purchased so many items that I am on a first name basis with the associates at my local store.I loved this bracelet the first time that I saw it, but unfortunately I'm disappointed with the quality. Rated 1 out of 5 by ajn108 from Beautiful but flawed After a day of wearing my beautiful bracelet with 7 charms in rose gold, I was so sad to see one has already been lost - a crown so now I only have one which doesn't work for symmetry. I was so excited to receive the bracelet - I can't believe Pandora would release something so unreliable - really, really sad! Rated 5 out of 5 by NicP from Subtle, different, beautiful.... I bought this on Black Friday when it was 35% off as the gift set and I absolutely LOVE this bracelet. I also purchased the Love charm, the silver and rose gold Pandora logo clip charms and the silver timeless sparkle charm. I saw the complaints, but my charms are all secure and none have come off, gotten loose or given me any problems. I'm so happy I got this, I love the way it looks!! Rated 1 out of 5 by Mzduke from Defective! My staff bought me a bracelet for Christmas because they knew I love this bracelet. I've worn the bracelet a couple of times and the class keeps opening and luckily I've found it each time it has fallen off. I wore it today to the salon and it fell off in the parking lot near my car. There is a problem with the class on this bracelet. So do you buy this safety chain and just wear it and the bracelet constantly opens and you constantly have to close it? Rated 1 out of 5 by Cheryl527 from Love the concept, hate the execution. I bought the bracelet the minute it became available and my husband surprised me with another one plus the infinity charm the next weekend. The charm disappeared within weeks of his purchase. Both bracelets have a weird slightly tarnished hue to them that I can't get rid of. Rated 1 out of 5 by BFFdisappointed from So Disappointing I got this beautiful clip charm along with the dangling heart for Christmas...2 weeks later both charms became undone and I lost them. It's very upsetting because specially this crown charm was my favorite one. So uncharacteristic of Pandora. Out of 3 charms that I had, I only have one left. Very disappointed! Don't waste your time and money!